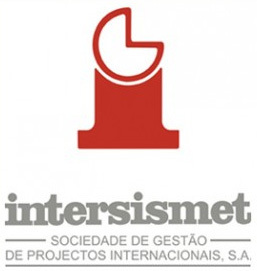 INTERSISMET, S.A. – International Project Management Firm, based in Portugal, is a renowned consulting firm with over 30 years experience and expertise in the fields of administrative modernization, institutional capacity-building, planning, information technology and communication, training and works inspection. The firm primarily operates in the Portuguese-speaking market, where it has conducted an extensive portfolio of works and projects in various countries, in particular in Portugal, Angola, Brazil, Mozambique, Cape Verde, Guinea-Bissau and São Tomé and Principe. In parallel, the firm has developed projects in the Democratic Republic of Congo, Guatemala, Dominican Republic, Georgia, Armenia and the Ukraine, and is currently entering new markets, in particular Equatorial Guinea and East Timor. Intersismet, SA, has participated in several projects funded by the European Union, World Bank, African Development Bank, UNIDO (United Nations Industrial Development Organization) and UNDP (United Nations Development Programme), and has wide experience in the development of public policies for central and local public administration, with highly specialized technical staff. Intersismet has also established important partnerships with leading companies in various and diverse business sectors in Portugal, Angola and Brazil, in particular in the areas of planning, accounting, urban planning, information technology and communication and health, enabling it to confront challenges with ambition and a profound sense of responsibility. is a highly Angolan consulting firm with expertise in the fields of business organization, administrative modernization, planning, institutional capacity building, information technology, research and projects. For several years been it has placed its skills and consultants at the service of public agencies in order to maximise sustainable development in Angola, providing serious, high-quality work, aimed at ensuring full customer satisfaction. In its sphere of activity, the firm has contributed to the success of Angolan public policies. Due to the extensive international experience of its staff and technicians and the successful track record of its parent company (INTERSISMET SA), Intersismet Consulting SA currently has an extensive portfolio of works and projects in various countries, including Angola, Brazil , Mozambique, Cape Verde, Guinea-Bissau, and Sao Tomé and Principe. In parallel, it has produced works in the Democratic Republic of Congo, Guatemala, Dominican Republic, Georgia, Armenia and the Ukraine, and is currently in the process of entering new markets, in particular Equatorial Guinea and East Timor. The company’s staff, which includes Angolan professionals, is well prepared and highly qualified. The company has also established significant partnerships with leading companies in various and diverse business sectors, in particular in Portugal and Brazil, enabling it to confront challenges with ambition and a profound sense of responsibility. In Angola, the company has worked with various ministries, public institutions, provincial governments and municipal administrations, in various areas and fields throughout the country. It is familiar with the local situation and, in all circumstances, aims to provide first-class work.